to date, the majority of serious design software has been developed for the desktop. 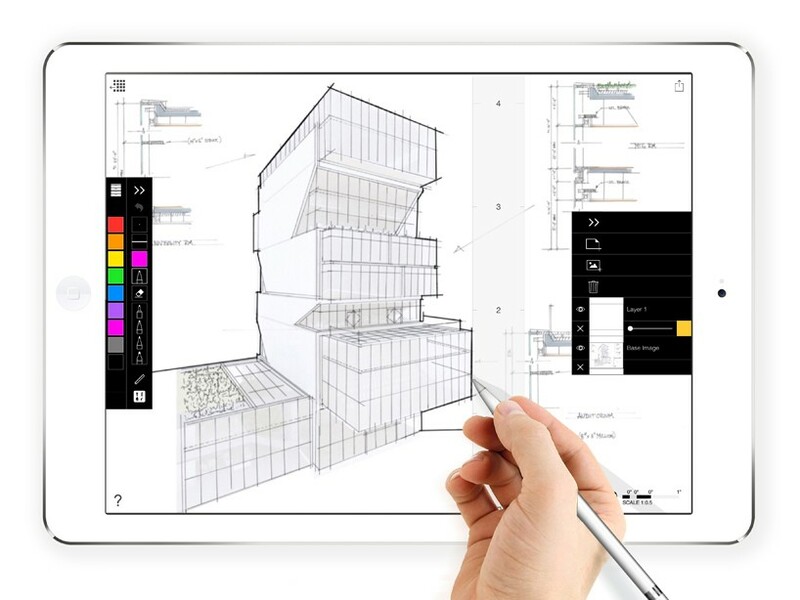 screen real estate, stylus precision, and horsepower were missing in mobile devices, but will finally be delivered to architects and other design professionals with apple’s release of the ‘iPad pro’ and ‘pencil’. 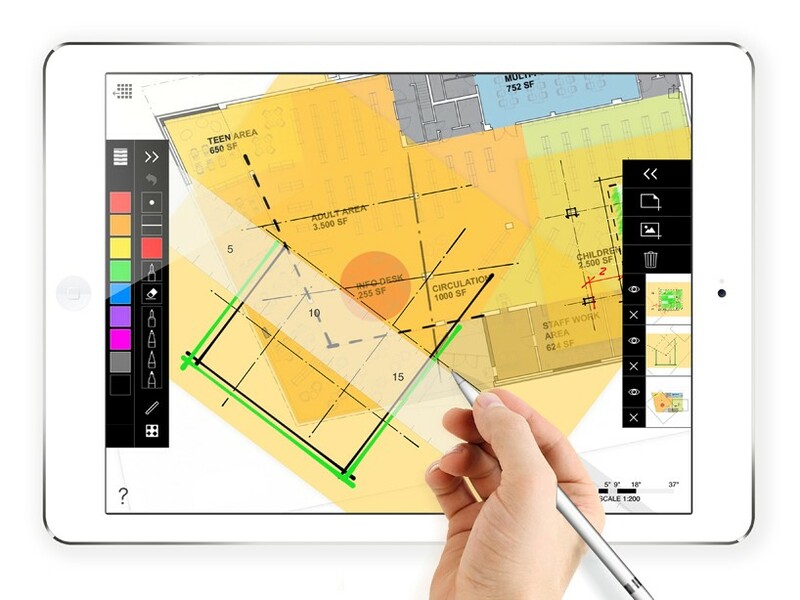 accompanied by the launch of the larger tablet and digital sketching tool, morpholio has created two apps to maximize both the screen space and computing power – the ‘trace pro’ and ‘board pro’. it enables zooming from a city, into a house, into a room, into a table–in seconds. 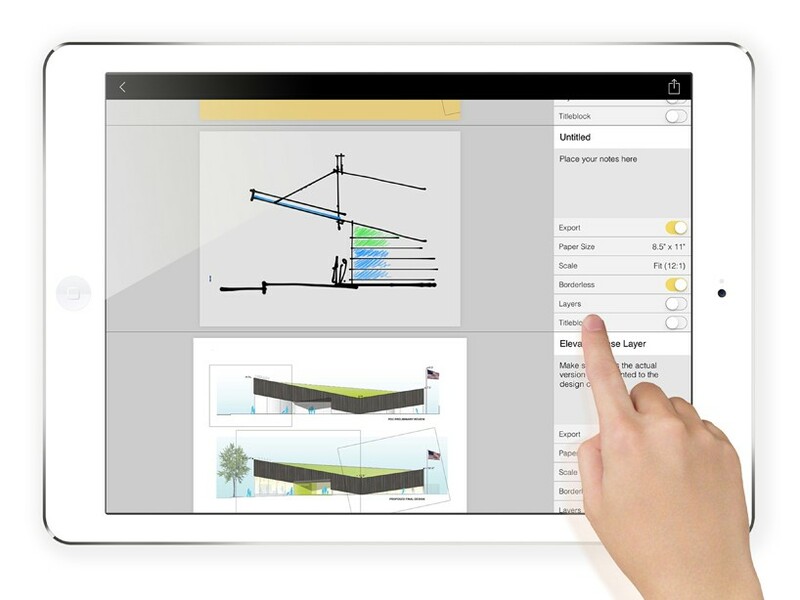 export entire drawing sets to clients in one tap. 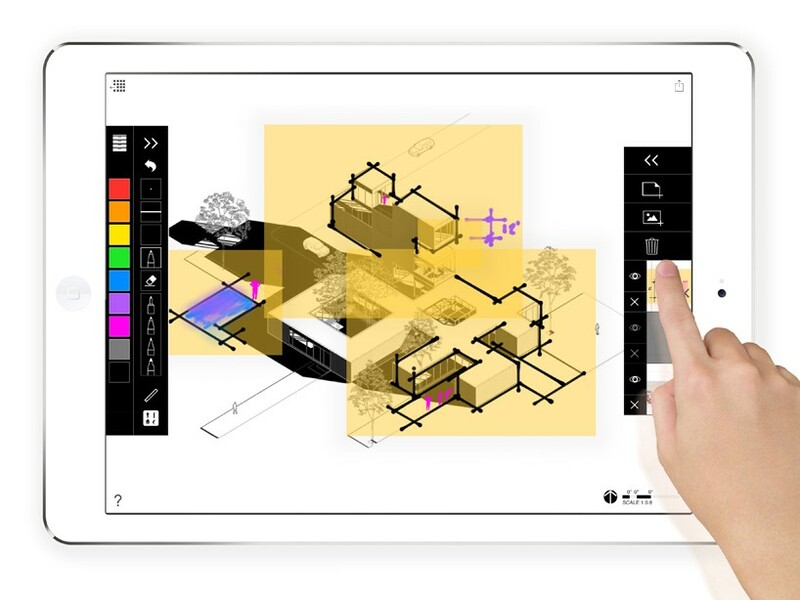 control layers anywhere on any drawing at the same time. ‘trace pro’ will drastically change how creatives work: fluidly between media, and across devices – mobile and desktop together. 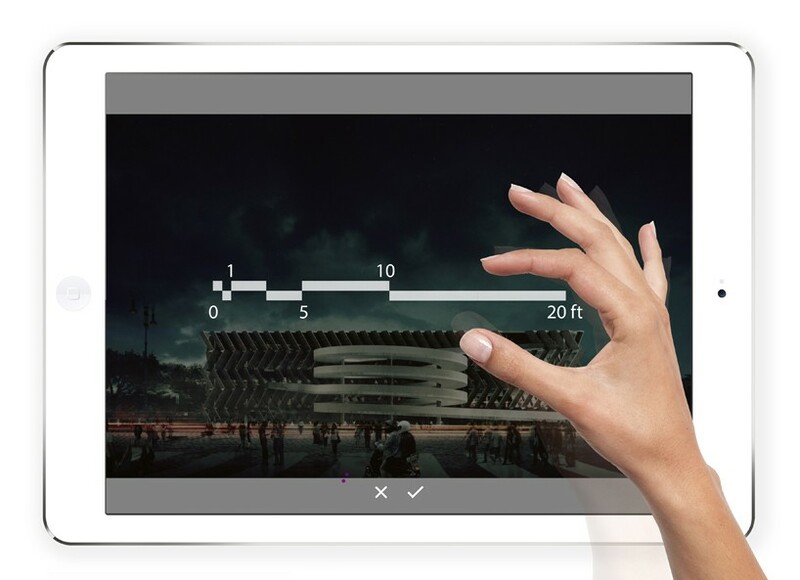 ‘trace pro’ is the drawing software for ideation, that optimizes the relationship between designers and devices, making creative work more productive and more meaningful. 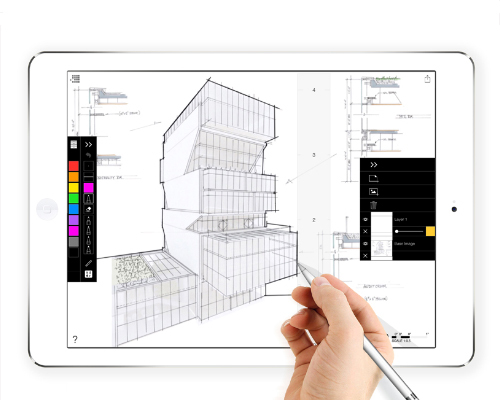 it is not only a new way of working it is part of the latest renaissance in drawing, imagining the heart of the designer merged with the brain of a computer. 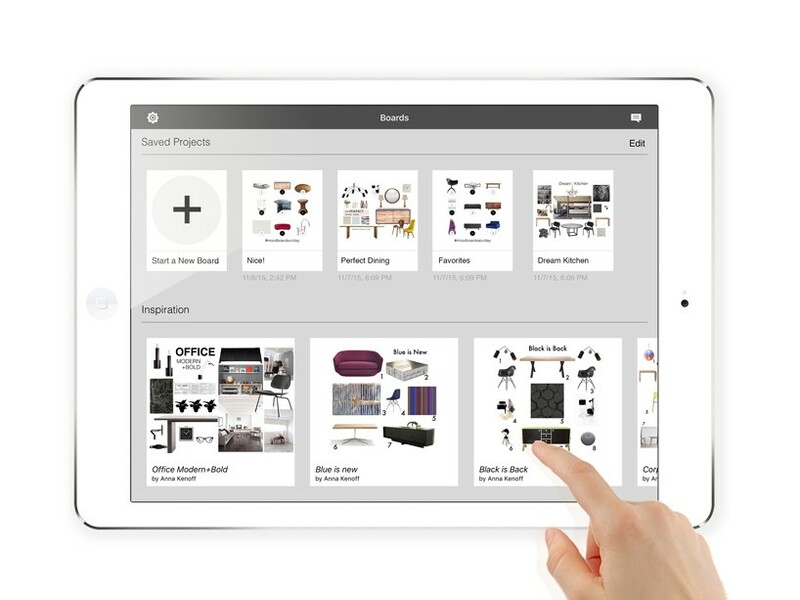 the ‘board pro’ brings skill and pleasure of the designer’s presentation board with the intelligence, flexibility, and curation of pinterest. 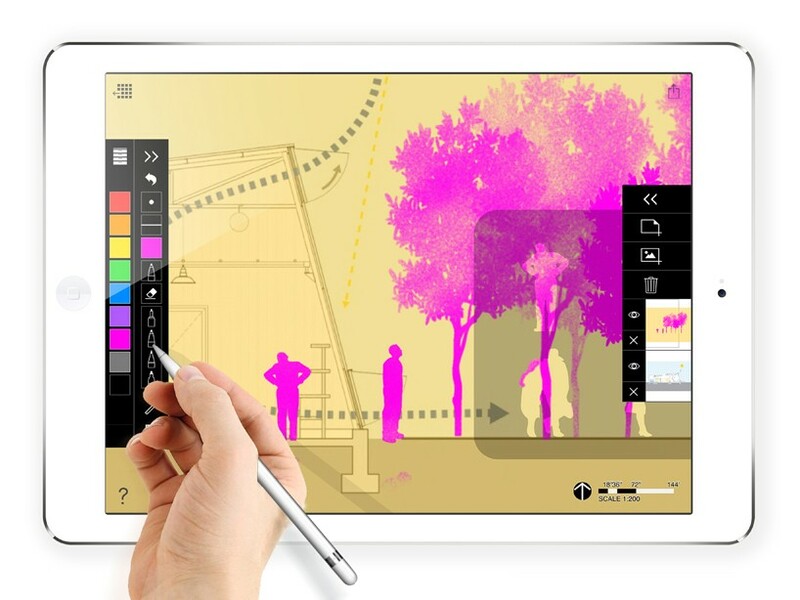 it is a design tool re-imagined to combine the creative benefits of working by hand with the detail of digital accuracy. 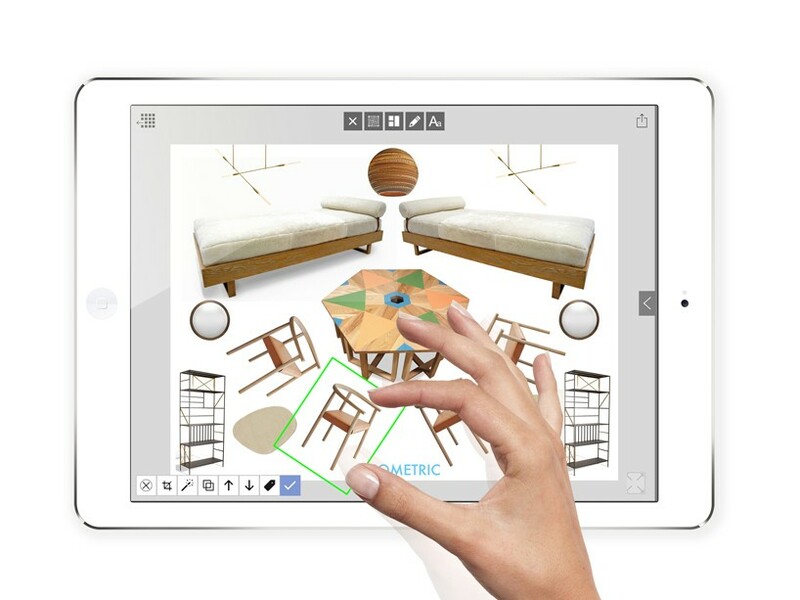 from the comfort of a sofa or while moving through a showroom, users can capture incredible products, sketch details or notes, and beautifully convey a space or concept. ‘board pro’ fights back against the overwhelming digital library with a carefully curated gallery searchable by color, company, and product type. to achieve this, morpholio collaborated with the biggest and brightest names in interior design to feature over 1000 classic, fresh and cutting edge products. technology’s promise was always to make life easier and smarter and these tools are delivering in a big way for designers. 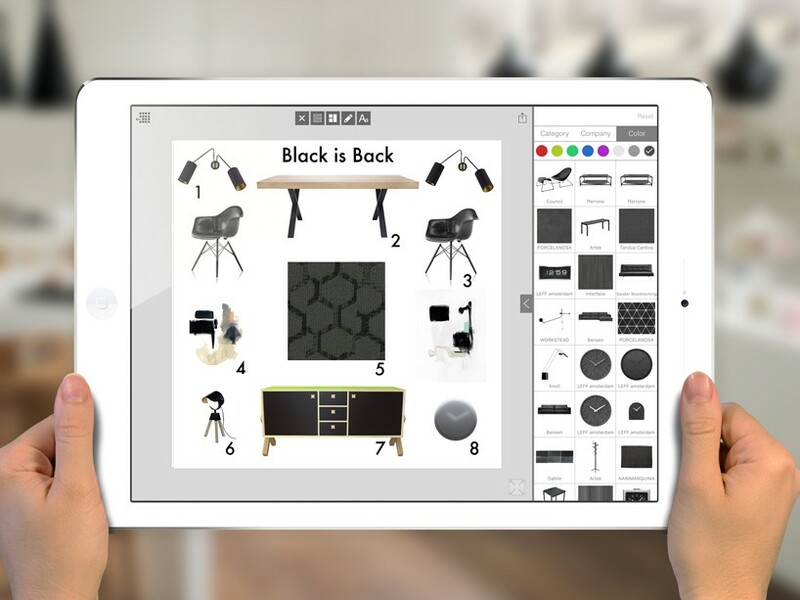 the majority of interior designers are sole practitioners or boutique firms, and they need tools that save valuable time, provide access to great sources, can be easily edited, and allow them to produce from anywhere with ease. ‘board pro’ was created by designers for a world of design enthusiasts. I somehow doubt the precise design commanding process without a keyboard… but let’s see.